The punting game me be one of the most underappreciated parts of football, but it can be very important in close games. Browns fans don't need to look any further than the 6-3 win over the Buffalo Bills this past season. With high winds and not much offense for either team Dave Zastudil was able to consistently pin the Bills deep in their own territory. Zastudil actually played so well that game a Sports Illustrated story on punters claimed the headline should have read "Zastudil Beats Bills." 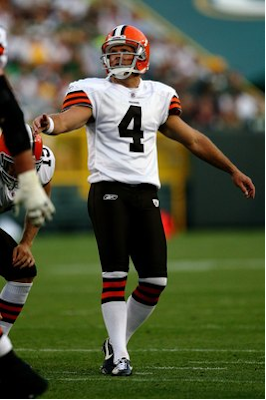 It wasn't just that one game that has him on this list though, before his arrival the Browns had problems at the position after Chris Gardocki left. With inconsistent play and shanked punts at the worst times, the punting game was a disaster. As a guy without any of those problems, Zastudil was a welcome addition to the team. Still the only player left from the 1999 expansion team, Dawson has proven his worth season after season. He has kicked game winners under pressure and made field goals in the most difficult weather. 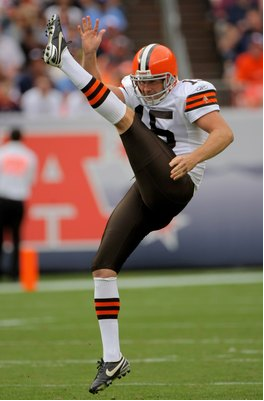 Even with the infamous swirling winds of Cleveland Browns stadium Dawson has managed to be one of the 10 most accurate kickers in NFL history. He is 3rd on the Browns all-time points list behind Hall of Fame kicker Lou Groza and a little more than one hundred points behind Don Cockroft for 2nd. Despite never making a Pro Bowl, Dawson has been one of the leagues best kickers over the last ten years, and he continues to be the most reliable player the Browns have had over that time period.